My attempts at growing flowers last year were dismal. Perhaps I was over ambitious in choice but more likely it was the inconsistent temperature in the greenhouse that prevented germination. I’d made my mind up to buy seedlings this year based on the money wasted on several packets of seeds I didn’t think there would be much difference in the overall cost and probably if I bought plug plants there wouldn’t be. BUT the thing is that you are much more limited in choice. So after a couple of hours browsing at Ayletts yesterday I’ve decided to have another go, albeit on a far smaller scale and at home on the window sill. 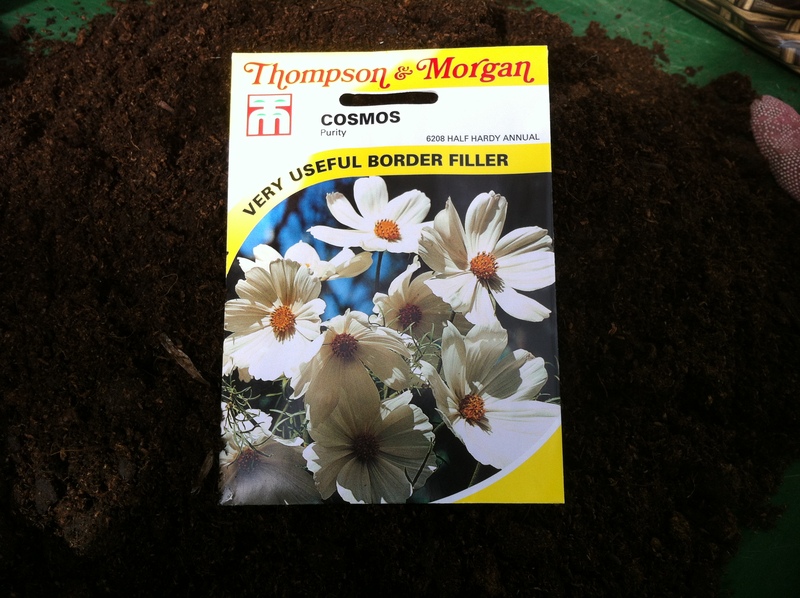 So today I sowed Cosmos Purity a half hardy annual. Ferny foliage and pure white daisy type flowers, growing to a height of 1.2 metres. They look stunning in a border and also make good cut flowers. Fill the seed tray to within 5mm of the top and flatten down. 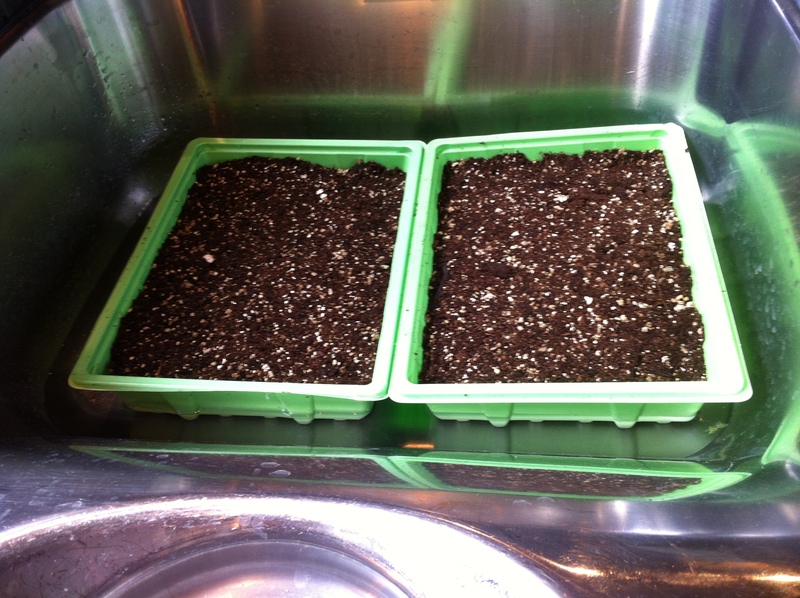 Fill the sink with 4cm of water and stand the seed tray in it for 10 minutes or until you can see the surface is damp. Sow the seeds on the surface. They are a good size, so easy to spread evenly. Cover the with a sprinkling of compost or vermiculite. 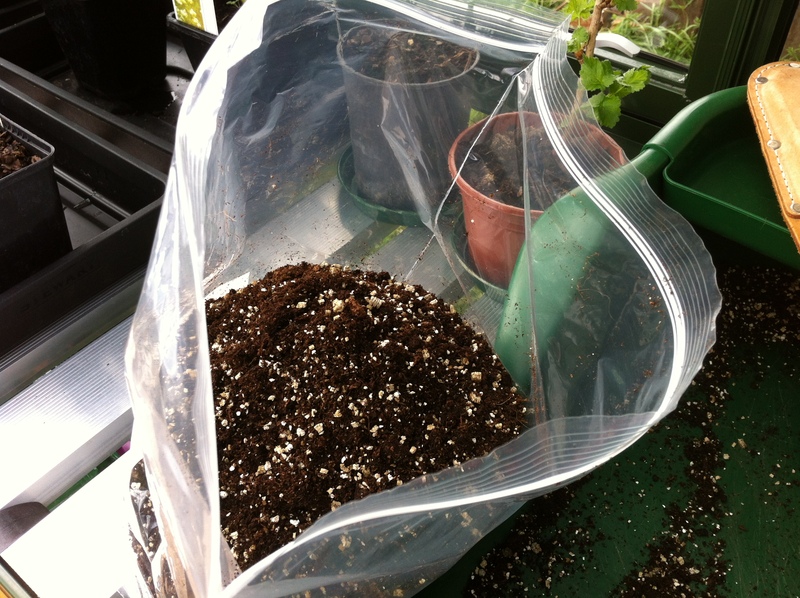 Put the seed trays in the gravel tray and the gravel tray inside the zip lock bag. Place on a window sill. Keep the surface moist, a spray is good for this. They should start to germinate in one to two weeks. I also sowed some Borage, think Pimms in the summer, though it is not keen on being transplanted, so a bit of an experiment. 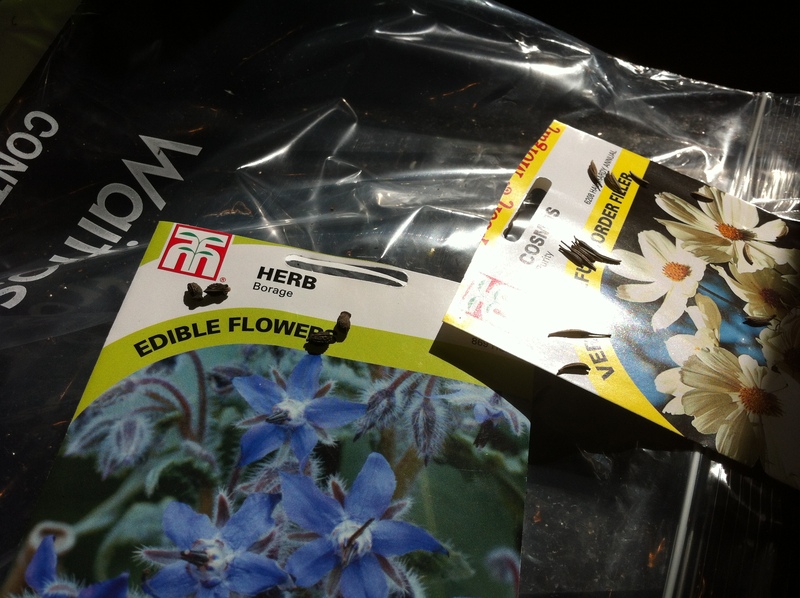 Seeds from Thompson & Morgan here.